Morris Chang received his BSEE degree from Tatung Institute of Technology, Taiwan and his MS and PhD in computer engineering from North Carolina State University. 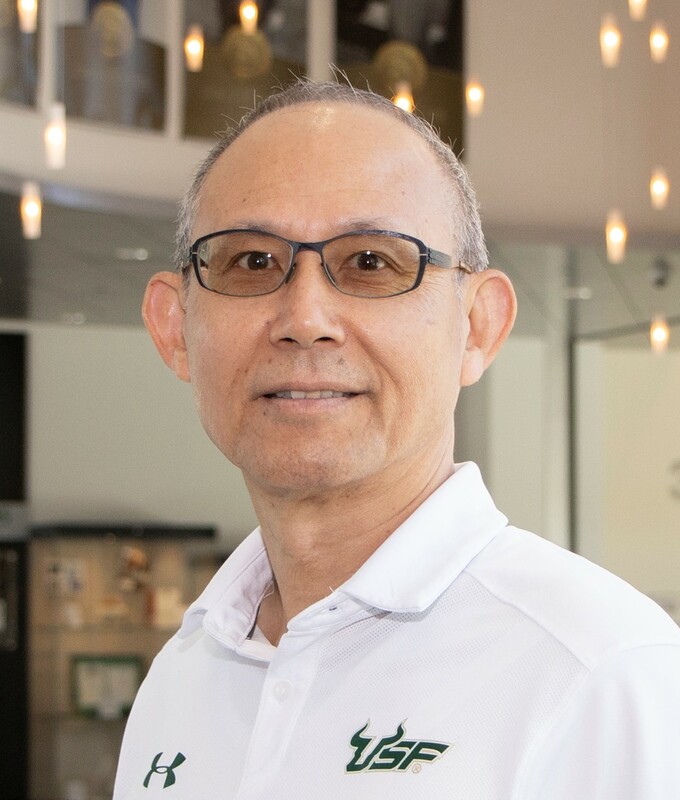 Dr. Chang joined University of South Florida in August, 2016. His industrial experience includes positions at Texas Instruments, Taiwan (1983-1984), Microelectronics Center of North Carolina, Research Triangle Park, North Carolina (1986-1988) and AT&T Bell Laboratories, Allentown, Pennsylvania (1988-1990). He was on the faculty of the Department of Electrical Engineering at Rochester Institute of Technology, Rochester, NY (1993-1995), the Department of Computer Science at Illinois Institute of Technology, Chicago, IL (1995-2001) and the Department of Electrical and Computer Engineering at Iowa State University, Ames, IA (2001-2016). He received the IIT University Excellence in Teaching Award in 1999. Dr. Chang's research interests include cyber security, wireless networks, energy-aware computing and object-oriented systems. His research on cyber security was reported in the USA Today on June 12, 2012 and the CNET/CBS on August 13, 2012. His research on Bandwidth Recycling in Wireless Network was featured on ISU's INNOVATEonline on July 22, 2011. His research on Dynamic Memory Management was featured on slashdot.org on Feb. 26, 2000. His research projects have been supported by NSF, DARPA and Altera. Dr. Chang served as the technical program chair for the 2009 IEEE International Symposium on Applications and the Internet (SAINT 2009). He was the technical program chair for the 2013 IEEE International Conference on MOBILe Wireless MiddleWARE, Operating Systems, and Applications (MobilWare 2013). Currently, Dr. Chang is a Program Chair in Chief of 2019 IEEE International conference on computers, Software, and Applications (COMPSAC), a handling editor of Journal of Microprocessors and Microsystems and the Associate Editor-in-Chief of IEEE IT Professional. He is a senior member of IEEE.